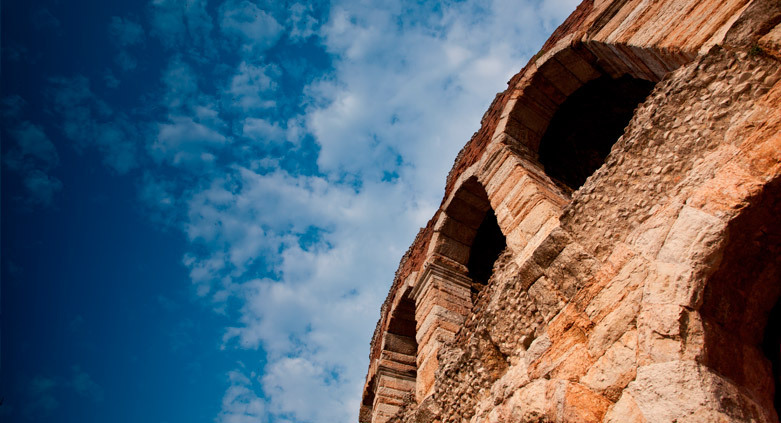 During our tour we will talk about religious and secular music from the roman times to present day Verona. The young Mozart and Maria Callas will be with us in spirit since both of them are connected in more ways than one to our city: Wolfgang spent about 10 days in Verona whereas M. Callas lived a few years in the city centre. Both lived for music and are part of the musical history of our city. Our tour starts at the church of San Tommaso Cantuariense because this is where Wolfgang Amadeus held a concert in January 1770 using the great baroque organ still to be seen within. We continue towards the Roman Theatre – which Mozart did not see since it was still covered by rubble – to remind you that also in roman times music and a variety of musical instruments were necessary to help the spectators understand what was happening on stage. You can sit on the stone steps while we tell you the story of this theatre and the variety of performances held here in the past but also nowadays in summer. From the theatre we look towards the bell tower of the Cathedral because as the centuries go by the Church used music in many religious ceremonies. To aid the spread of these texts a ‘scriptorium’ was founded (today it is known as Biblioteca Capitolare) and in this building many liturgical books with musical notations were produced and illuminated and also a ‘Schola Cantorum’ was established. We cross the Roman Stone bridge and you will surely hear the noise (or sound) of the river as we head towards Piazza S. Anastasia to take a look at the Due Torri Hotel where Mozart stayed with his father. Nowadays many singers, in town for a concert, use these same rooms! Walking past the modern Conservatory (where you might hear students practicing their scales) we reach the A.M.O. opera Museum. It opened in 2012 in the magnificent palazzo Forti and you will be able to admire original scores, letters, notes written by famous composers, costumes and stage settings, pictures and a whole room dedicated to Maria Callas, the second leading musical figure in our tour. We continue our walk meandering through narrow streets and alleys and we will talk to you about the young singer that arrived in Verona in 1947, made her debut in the opera ‘La Gioconda’ by Ponchielli and lived a few years in town with her husband. Last but not least we reach Piazza Brà: the Arena looms in front of us and with lots of imagination you can hear the sound of tubas and horns accompanying the gladiators during the procession which took place before the fighting started. 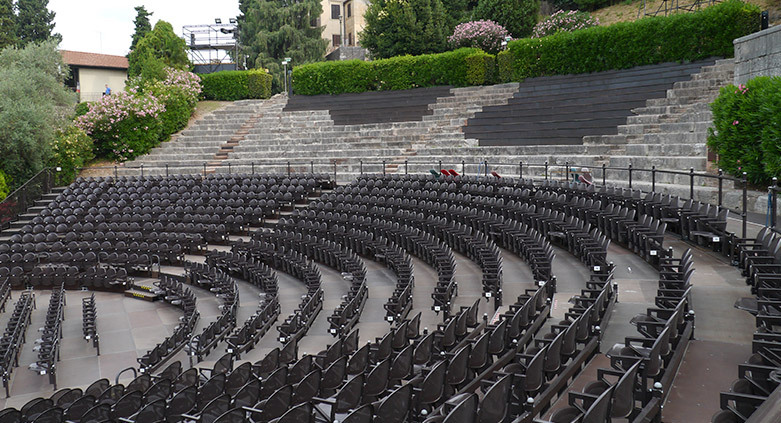 The amphitheatre has always been used to entertain people: in 1822 Rossini conducted a concert in front of the most powerful rulers of Europe and nowadays it is famous all over the world for the opera performances held here since 1913. We will give you some technical information and we will also tell you of the many famous modern day artists – italian and not – that have sung on this stage. We complete and end our tour in front of the Teatro Filarmonico the theatre used in winter for opera performances, which has survived fire and war and has seen famous artists perform on its stage. In the ‘Ridotto’ (foyer) Wolfgang Mozart held such a memorable concert in front of the most important citizens of Verona that everyone spoke and wrote about it at the time. 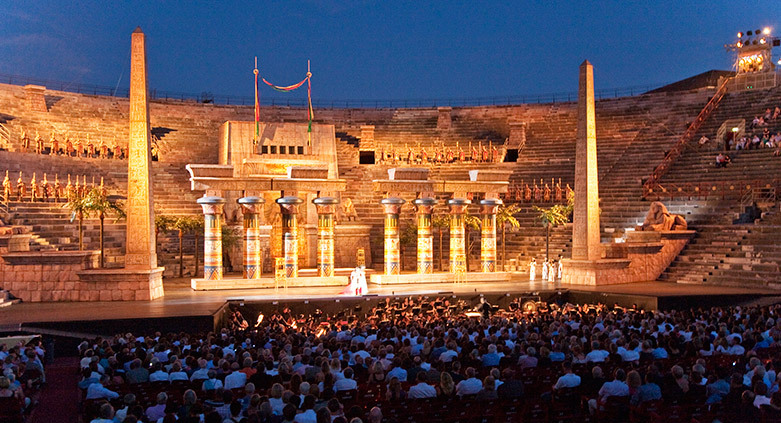 Follow us on this ‘musical’ tour and discover a different aspect of Verona. Entrance to Church of S. Tommaso, Roman Theatre and A.M.O. Museum. TO COMPLETE YOUR DAY: Museum of Castelvecchio, Museum of Modern Art, Church of S. Anastasia, the Cathedral.